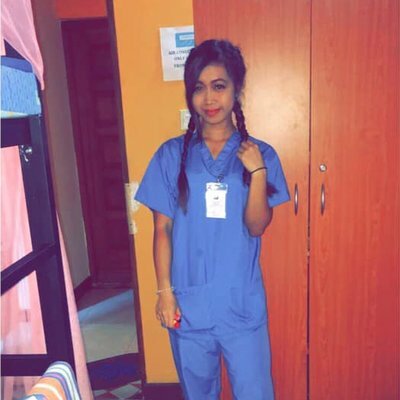 I chose Work the World as I wanted to undertake a unique nursing experience where I would gain independent clinical skills without relying on modern day equipment. I was pleasantly surprised at how easy it was to navigate their the website and I found the information was very detailed and helpful. When reading through the case studies on the website Ghana immediately caught my eye. 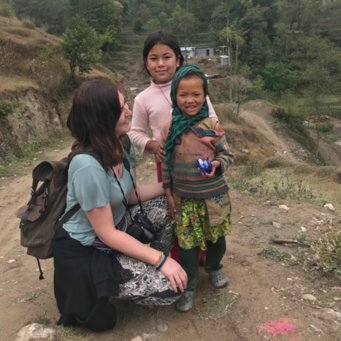 I was interested in working in a country where I would learn about deprivation, culture and tropical disease. Ghana seemed to tick all the boxes. 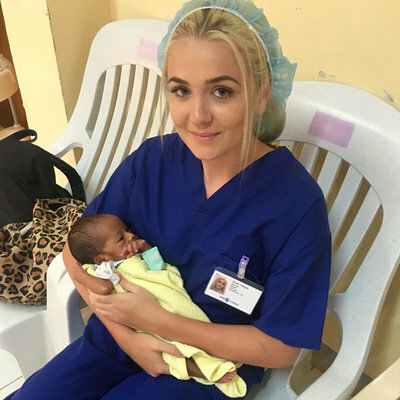 I contacted the Work the World staff who were very friendly and positive and before I knew it I was booked up for my seven week nursing placement and raring to go. The Work the World team helped me along the way by assisting me with my flights, visa and they even gave me access to a personalised webpage with tonnes of information which was very useful. It literally had everything I needed to know about staying in Ghana and also has a list of supplies recommended to take with me on my elective placement. I found the website convenient, there is a fun countdown leading up to your trip and a tick list of things you have to do keep yourself organised which makes planning your trip fun and easy. The staff at Work the World would often call and make sure I was organised and offer their assistance which was comforting. Arriving in Ghana was overwhelming. It was very busy and extremely hot. Myself and two other student nurses were greeted by Ezekiel who was wearing his work the world t-shirt. We were introduced and escorted to a taxi where we were taken to stay in a lovely hotel for the night. Ezekiel explained we would stay in the hotel and set off the next day to the Work the World house. The hotel was very comfortable and breakfast next day was lovely. Our trip from Accra to Takoradi was around four hours and Ezekiel took this time to inform us about what to expect next and was open to answering any questions we had. I learned to work independently and not rely on modern equipment. Arriving at the house was amazing as there were over twenty people all waiting and eager to meet us. We were welcomed with open arms and made to feel at home right away. When we were shown to our rooms I was so excited to get unpacked and get to know everyone. Ezekiel brought us in pizza(!) and then took us on our orientation which was great being shown around the local area and even better that our house was so central to everything. Our orientation included being shown around the house and introduced to the staff, we were took a tour around the local area and shown the beaches, shops, internet café, pharmacy and restaurants. We were also taken to the hospital where we would be working and taken round the different departments and introduced to the health care staff, who seemed very happy to meet us. Working in the regional hospital was a unique experience. I learned to work independently and not rely on modern equipment. I attended a hypertensive clinic, HIV and diabetes clinic and also worked in a male surgical ward. I got a lot more experience than I would have at home as I had more variety. When working in the hospital it is beneficial to use your initiative be interactive and show enthusiasm. You get out of your placement what you put in and I found that if you ask questions and show interest the staff appreciate your willingness to learn and will teach you more. Living in the Work the World house was easier than I thought. I imagined living with so many people would be difficult but you get used to it very quickly and it is also really nice having support from others going through the same experience as you. The house is definitely like a second home and the staff like a second family. I made some amazing friends and memories that I will never forget. Going an abroad elective placement is one of the best decisions I have ever made.